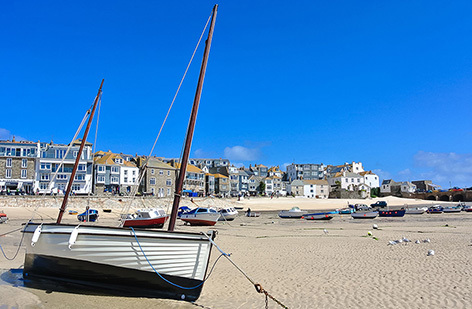 St Ives is a world renowned tourist destination with generations of families returning year after year to enjoy their summer holidays. While many families come for the world-class golden beaches and turquoise seas, others come to explore the many wonderful art galleries which are to be found tucked-down the tiny cobbled streets. 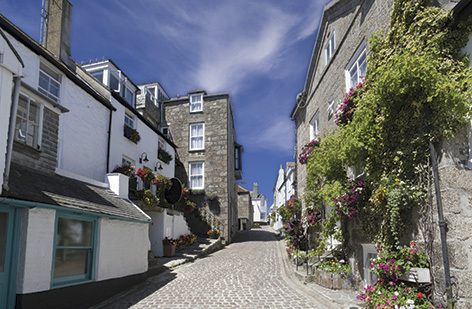 There are many unique shops and wonderful restaurants that serve delicious, locally sourced produce or you can simply watch the world go by while enjoying a Cornish cream tea (jam first!) or delicious artisan ice-cream from one of the many harbour front cafes/parlours. 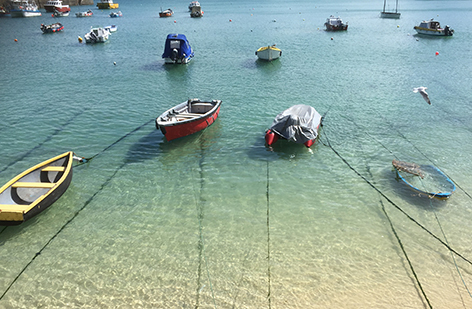 Porthminster Beach has a truly cosmopolitan feel with its soft, golden sand, sheltered bathing water, beautiful floral displays and fabulous options for alfresco dining or take-away. The beach has Blue Flag status and is lifeguarded in the summer. You can even try your hand at crazy golf. Public conveniences are located behind the beach. It is a 10 minute walk from the town centre. 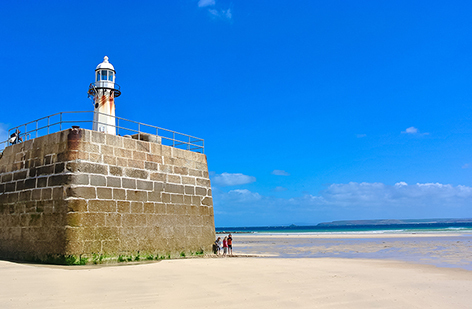 The Harbour is a popular spot for sandcastles and puddle jumping at low tide. There is always something or somebody to watch and seals make a regular appearance in amongst the boats when the tide is in. Enjoy a take-away pasty or fish and chips for lunch while the little ones will be happy with the fabulous range of delicious artisan ice-creams on offer! There are public conveniences available at either end of the Harbour and in the Sloop Car Park. Bamaluz Beach is a small, dog-friendly beach between the Harbour and Porthgwidden and is accessed via stone steps. 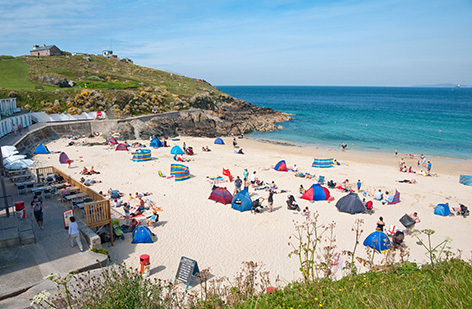 Porthgwidden Beach has a cosy feel with pristine sand and a great cafe that directly overlooks the beach. Public conveniences are available. It is a 10 minute walk from the town centre. 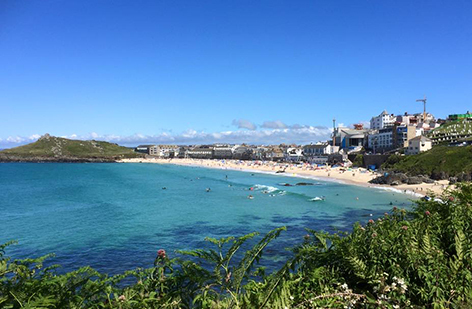 Porthmeor Beach is a large expanse of sand and is popular with families wanting to try their hand at bodyboarding and surfing. Food and public conveniences are available as well as surf lessons and equipment hire. The west side of the beach is a great spot for rock pooling at low tide. It has Blue Flag status and is lifeguarded in the summer. It is a 10 minute walk from the town centre. 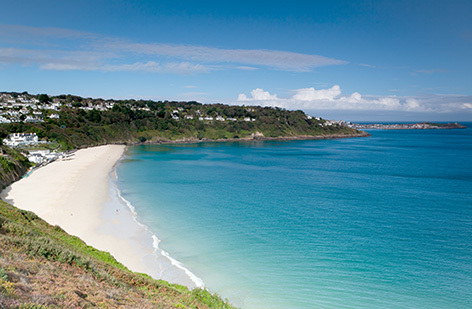 Carbis Bay Beach is privately owned by the Carbis Bay Hotel but is open to the public and is lifeguarded in the summer. It provides soft, golden sand and safe, sheltered bathing water for you to try your hand at SUP, kayaking and other water sports. Public conveniences and dining/take-away options for food are located directly behind the beach. There is an option to park at the hotel or further up the (steep) hill in the public car park. Porthkidney Sands is a vast expanse of soft, golden sand with dunes behind and is dog-friendly all year round. Please be aware that the tidal river can be dangerous and children and dogs are advised not to play in it. Parking is next to St Uny Church in Lelant and the beach is accessed via a footpath across West Cornwall Golf Club. No facilities available. 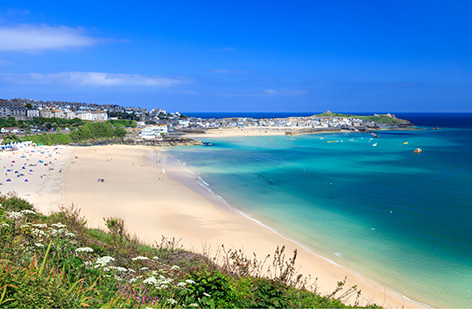 The West Cornwall peninsula is blessed with many unique, world class and award-winning tourist attractions for the whole family. 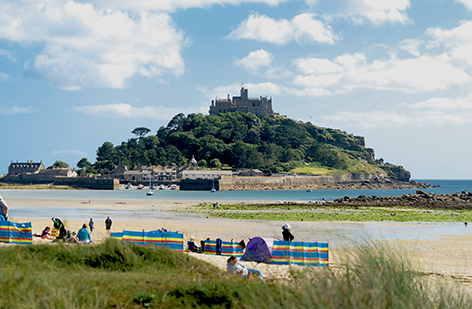 Walk the cobbled causeway at low tide or take a short boat trip to St Michael’s Mount at Marazion to discover this beautiful, ancient castle which is surrounded by the sea and has been ‘home’ to the St Aubyn family since the 17th century. 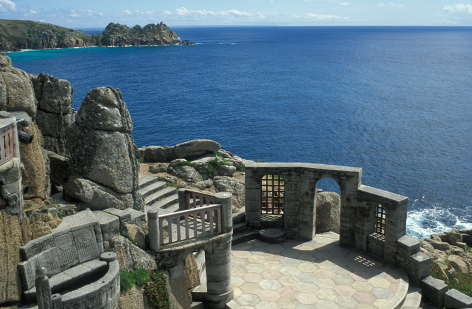 The Minack Theatre at Porthcurno is a unique cliff top theatre perched over the Atlantic Ocean and was the brainchild and life’s passion of Rowena Cade. 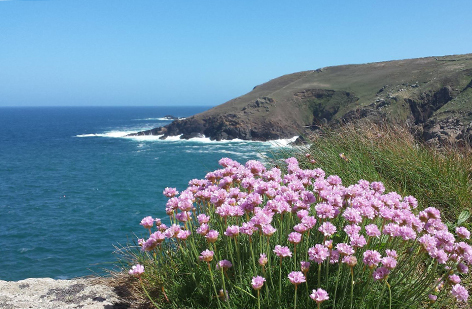 The Minack hosts open air performances throughout the summer season with shows for both young and old. If you can’t make a show why not stop for a cup of coffee and take in the amazing views from the coffee shop, or wander the grassy terraces and peruse the exhibition centre to learn more about its fascinating history. 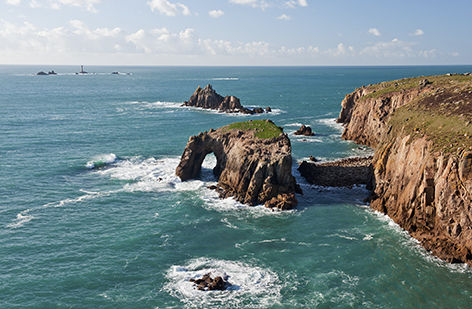 Discover the mainland’s most westerly point at Land’s End and enjoy the stunning and rugged coastline with its enchanting views towards the famous Longships Lighthouse and you can even see the Isles of Scilly on a clear day! 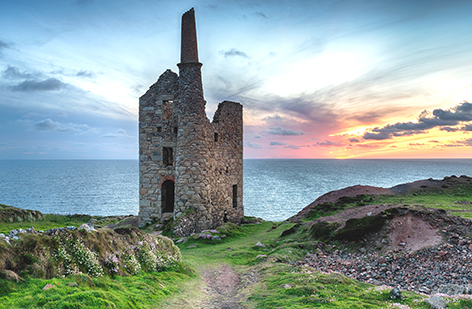 Enjoy some amazing photo opportunities at the Cornish Mining World Heritage Site where you can see the famous engine houses at Botallack and Levant (as seen on BBC ‘Poldark’) nestled into the coastal heathland. Nature lovers and families alike will enjoy visiting the award-winning animal sanctuary at Paradise Park. There are birds and animals from all over the world including red pandas, otters, parrots, toucans, flamingos and the children will love to join in with feeding the penguins! Regular talks and flying displays also take place each day and the outdoor and indoor play areas ensure you have a full day of fun and activities. 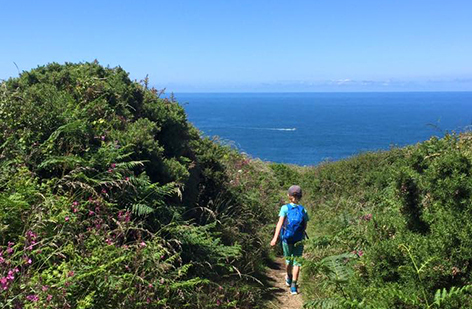 West Cornwall boasts some of the most beautiful stretches of the South West Coast Path. 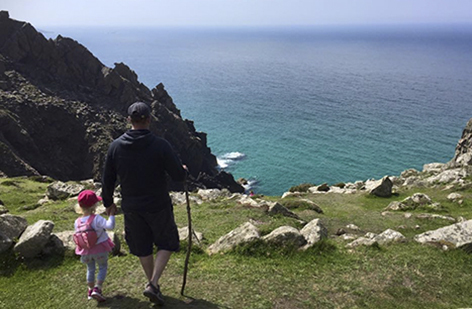 Starting in St Ives, the path passes over the ruggedly beautiful and remote granite cliffs on the north coast and then through the Cornish Mining World Heritage Site before reaching Lands End. Heading towards Penzance, the cliff path gives way to sheltered valleys and it all becomes a bit wilder again as you approach the Lizard. 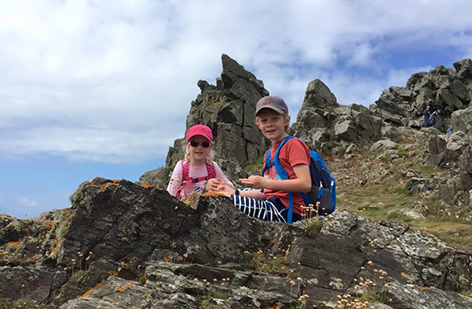 However, if serious walking isn’t your thing then there are lots of short routes for most abilities to enjoy and even children will love the challenge and adventure on offer when armed with a picnic, binoculars and an Ordnance Survey Map!